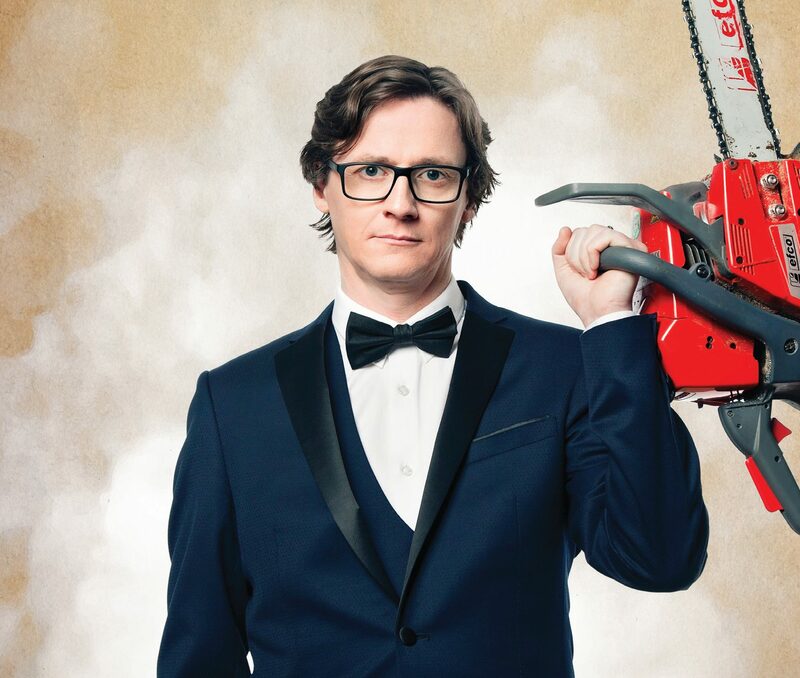 One of the finest observational comics in the industry, Ed Byrne, is coming to DLWP in April with his new show Spoiler Alert. I originally intended to call the show, “I’ll Millennial You in a Minute”, but my promoter considered the title, “off-puttingly baffling”. That’s my own chainsaw in the photo by the way. Recognized as one of the finest observational comics in the industry, Ed’s television credits are countless (provided you’re really bad at counting); Mock The Week, Have I Got News For You, The Graham Norton Show, Live At The Apollo, The One Show, Comic Relief Bake Off 2015, The World’s Most Dangerous Roads and, most recently, he and Dara O Briain filmed the follow up their Big Adventure show for BBC2 entitled Dara and Ed’s Road to Mandalay. Why not begin your evening with a bite to eat? There’s no need to book.